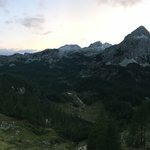 Welcome to Slovenia! Upon arrival at Ljubljana Jože Pučnik Airport, you'll catch a transfer from the airport to your accommodation. Settle into your lodging with a welcome drink, then get out and explore the capital's lovely city center. 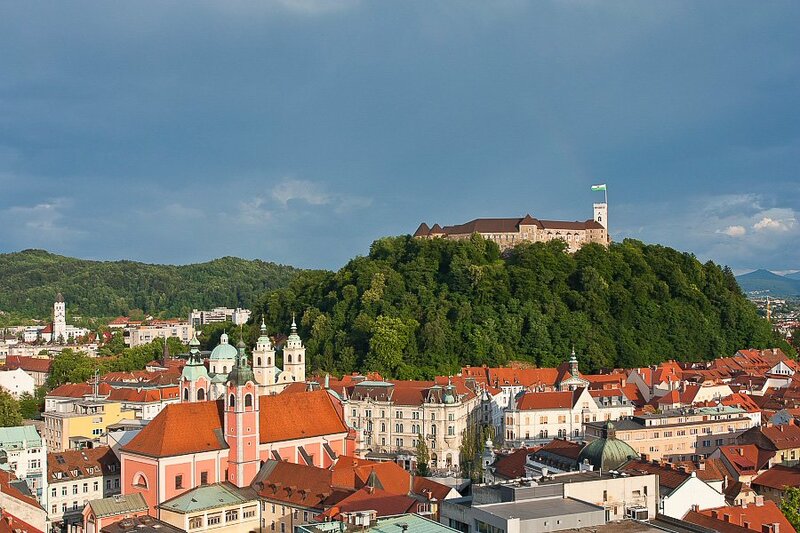 The country's largest city, Ljubljana is home to a wide variety of restaurants, museums, and historic landmarks to explore. Warm weather sees outdoor markets popping up all over the city, while winter prompts a warm drink in a cozy cafe. The Puffy Li'l Pancakes stall, however, is delicious in every season. Set out in true local fashion on foot or bicycle for your sightseeing. Guided tours are available if you'd like an inside perspective on stories of the city's history and culture or secret food spots, or see what you can stumble upon on your own. 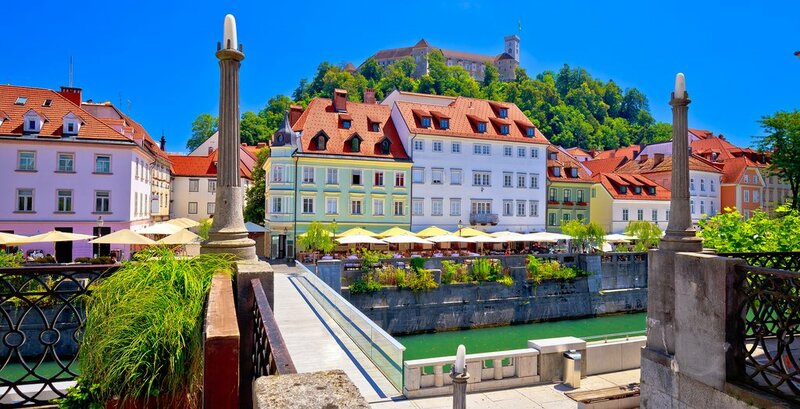 Saunter down the main street along the banks of the Ljubljanica river, stopping in whatever small boutique, outdoor cafe, or wine bar terrace strikes your fancy as you breathe in the fresh air of one of the continent's greenest cities. Many of the restaurants offer a multi-course prix fixe lunch menu perfect for lingering over at midday. You'll notice the legacy of modern architect Jože Plečnik around the city at worthwhile stops such as the National Library, Central Market, Triple Bridge, and Plečnik's own home turned museum, all under the watchful eyes of the city's many signature dragons. 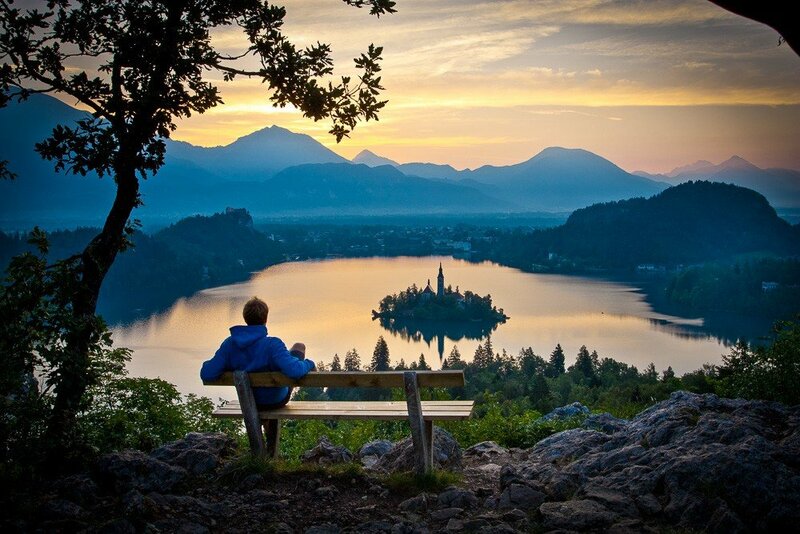 After breakfast in the capital, you'll hop in your rental car and drive to the fairytale shores of Lake Bled, a destination for guests from honeymooners to adventure-seekers alike. Venture into the surrounding countryside, where you can choose between a variety of shorter hikes through gorges or to scenic viewpoints. 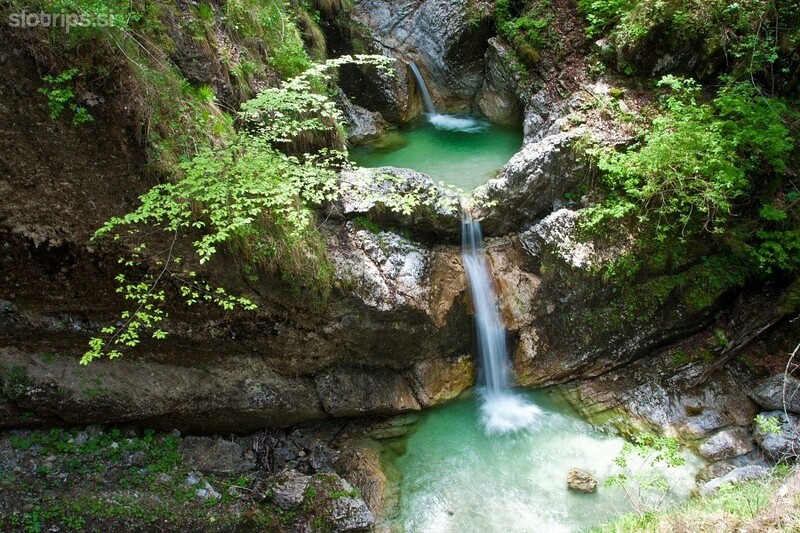 The craggy walkways and waterfalls of the popular Vintgar Gorge are just 2.5 miles from town. You can also climb up to the castle and tour its wine cellar and printing press before enjoying a traditional meal in the restaurant, or row or paddleboard across the placid waters. Once you reach the fairytale island at the lake's center, climb up the church's 99 steps, where legend has it the ringing of the bell can grant your wishes. 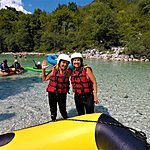 If that's still not enough, enjoy cycling on side roads through typical Slovenian terrain or simply sunbathe on the lakeside with a slice of the famous Bled cream cake at the Park Hotel or Slascicarna Zima bakery. 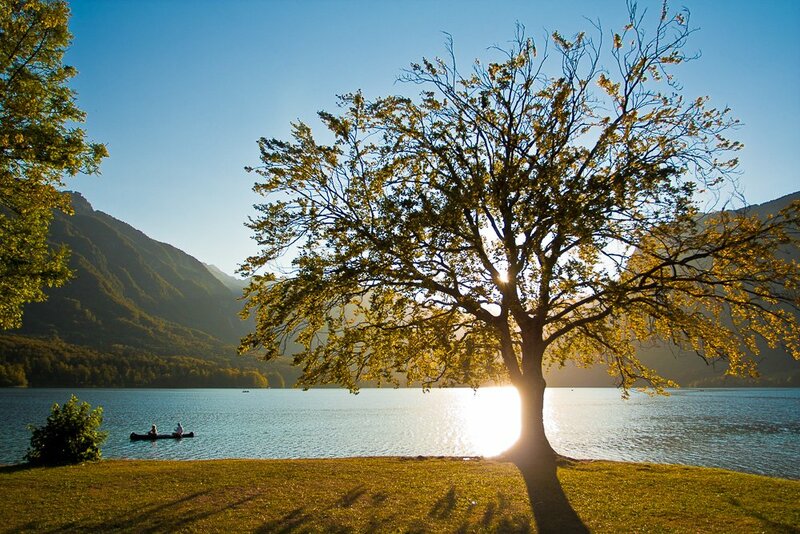 Nearby Lake Bohinj deserves time for exploration of its own, giving its neighboring lake some serious competition for the prettiest waterfront views. There are countless walks in the area for all ability levels; choose the one that suits you best, or go vertical with rock climbing instead. Don't forget to pay a visit to the statue of the Zlatorog, or "Golden Horn," a mythical stag believed to live in the mountains. If you feel like hanging out on the water instead, you can also canoe, kayak, or stand-up paddleboard before your return to Lake Bled. If you haven't visited Bled Castle yet, consider splurging on a royal dinner with a view at its restaurant. 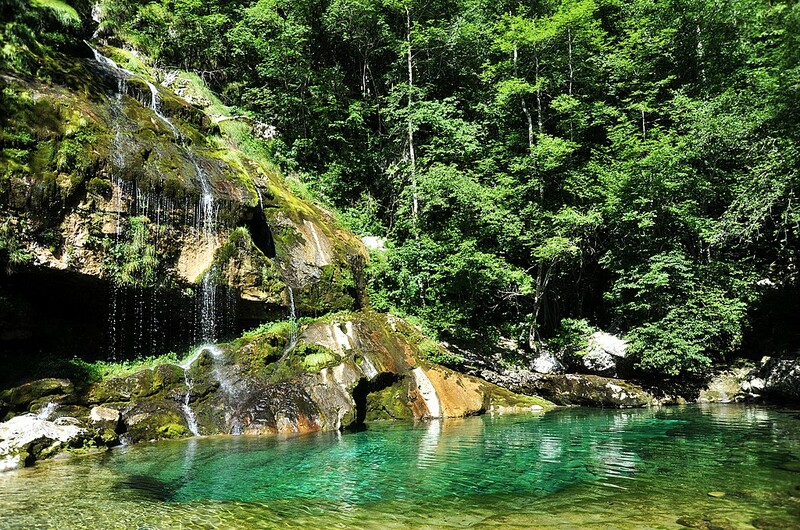 Get up close with the Soča River, also known as the Emerald River for its bright colors. Explore on a raft, zipline, or canyoning excursion, or just take a leisurely swim. 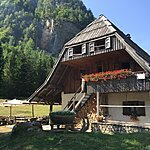 If you prefer to stay dry, walk along the banks or bike the area, with nearby destinations including the WWI Museum in Kobarid. You can also cast your rod in search of the famous Soča trout, sought after by fishermen from all over the world. Try it for yourself without the effort at the Dobra Vila restaurant, known for its traditional cuisine. 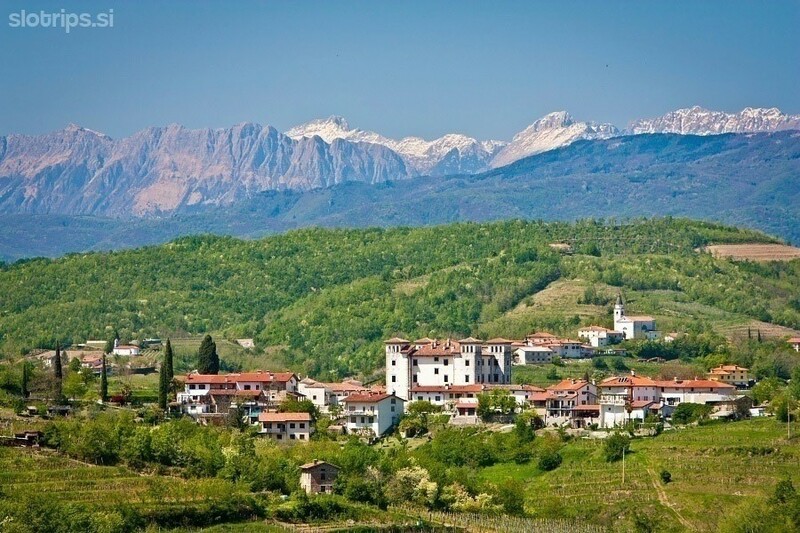 Experience the area's WWI history and influence as you continue south toward Goriška Brda wine country. Learn about the region's involvement in the war, also featured in Ernest Hemingway's "A Farewell to Arms." The mountains will make way to rolling hills as you approach your next stop. 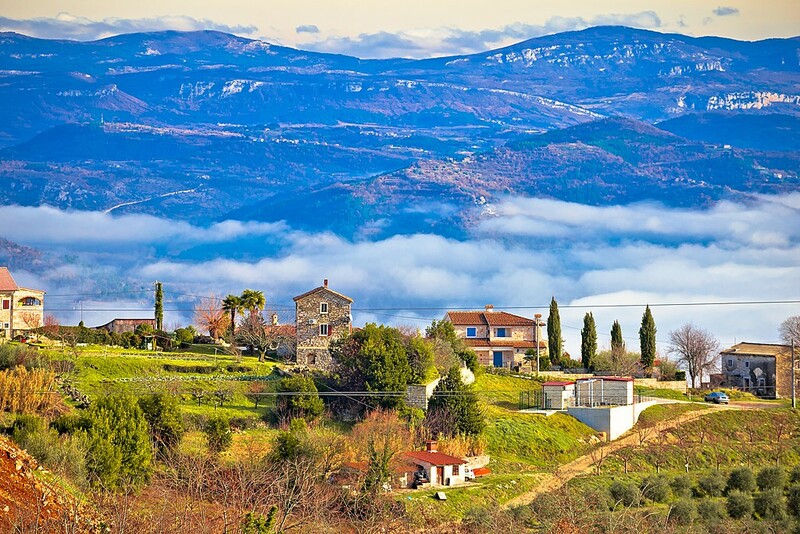 Dotted with family vineyard estates, petite churches, and cypress trees, the region earns its nickname of the "Slovenian Tuscany." 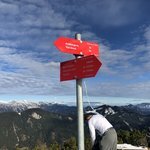 Climb a view tower to enjoy the best view from the Alps to the Adriatic Sea, bike through the hills, or visit a winemaker or four. It's also home to Ana Roš, voted World's Best Female Chef in 2017, whom you can visit with a reservation at House Franko restaurant. 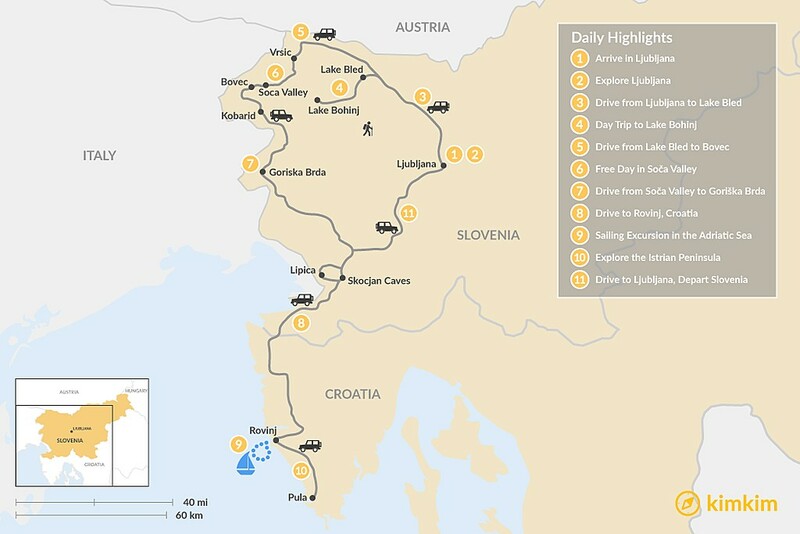 Head toward Croatia and its peninsula of Istria with some key stops along the way. First, make some equine acquaintances at the Lipica stud farm, home of the famous Lipizzaner horses. 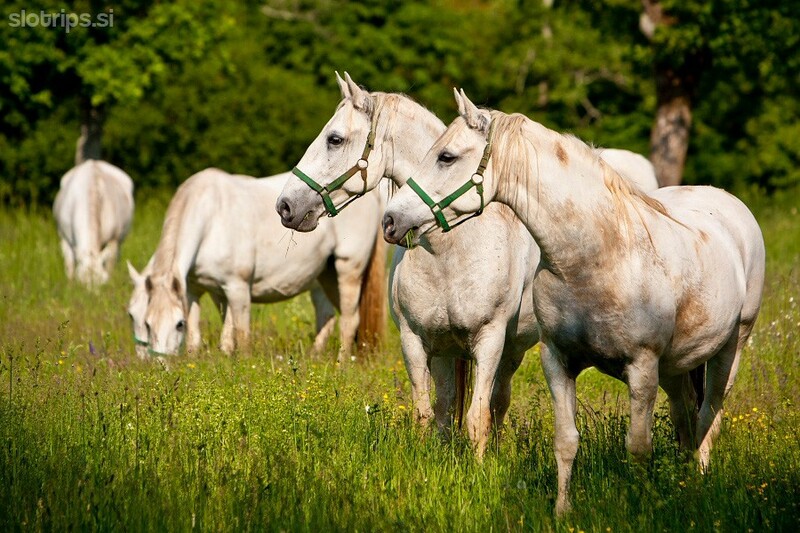 As the original stud farm of the Lipizzaners dating back to the 1500s, Lipica plays an important role in Slovenian history. Visit their museum, take a carriage or horseback ride, or watch a performance starring the white horses first bred by the Habsburg royal family. Then, go underground with a stroll through the stunning canyons of the limestone Škocjan Caves, a UNESCO World Heritage Site. Boardwalks will lead you through the specialized ecosystem of one of the world's largest known underground caverns. The caves are believed to have been visited by humans since the Iron Age. 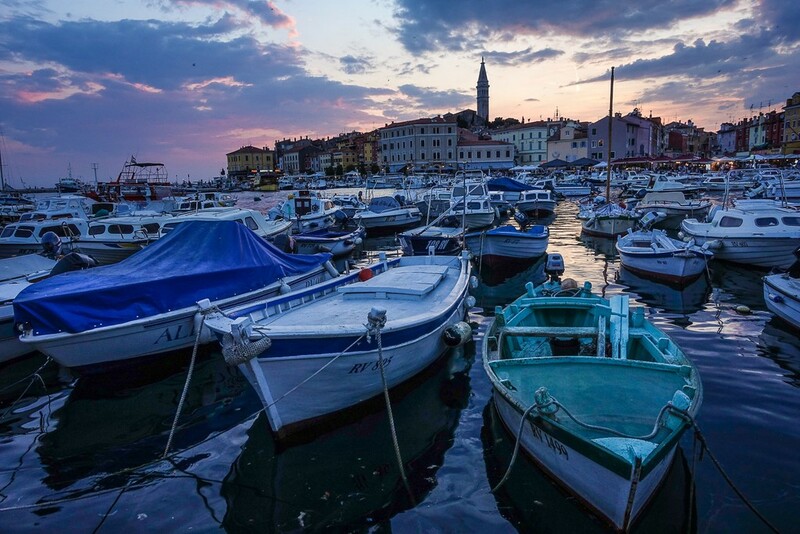 Go south across the border into Croatia, where you'll stay in the coastal town of Rovinj. 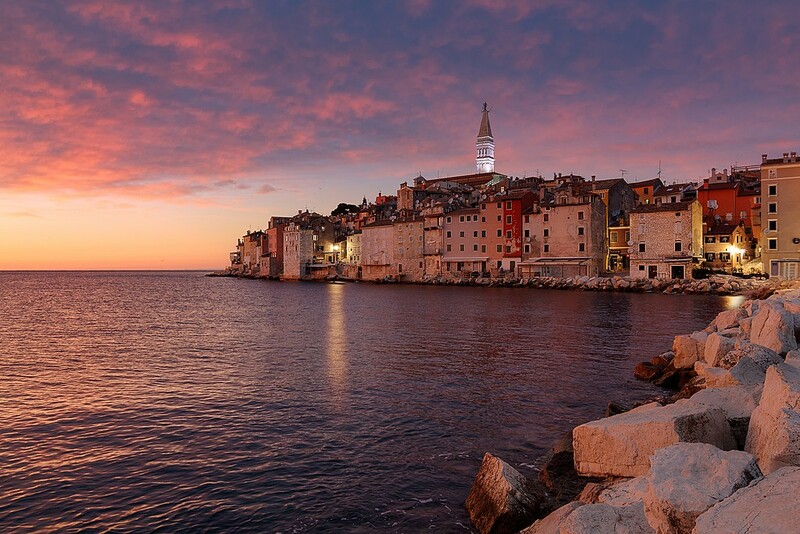 Stroll through the cobblestone streets of Old Town in this fishing port and former Venetian settlement and you'll stumble upon Italian-inspired churches, a central clock tower, historic archways, and one of the best culinary scenes in Croatia. Get introduced to it in style at Barba Danilo, Tutto Bene, or Michelin-starred Monte. Set out to sea on a sailboat with a local skipper. You'll spend half the day on the waters of the Adriatic as your guide takes you around Rovinj and the nearby islands, stopping at a hidden cove to swim and relax on the shore. Once you've disembarked, explore the winding streets of Rovinj for lunch and shopping. Climb up the tower of Saint Euphemia's Church for an aerial view or discover the Bronze Age ruins of Monkodonjo outside of the city before sampling some of the seafood the city is known for in the tavernas of Old Town. Stop for a sundowner at La Puntulina before you take to the streets. 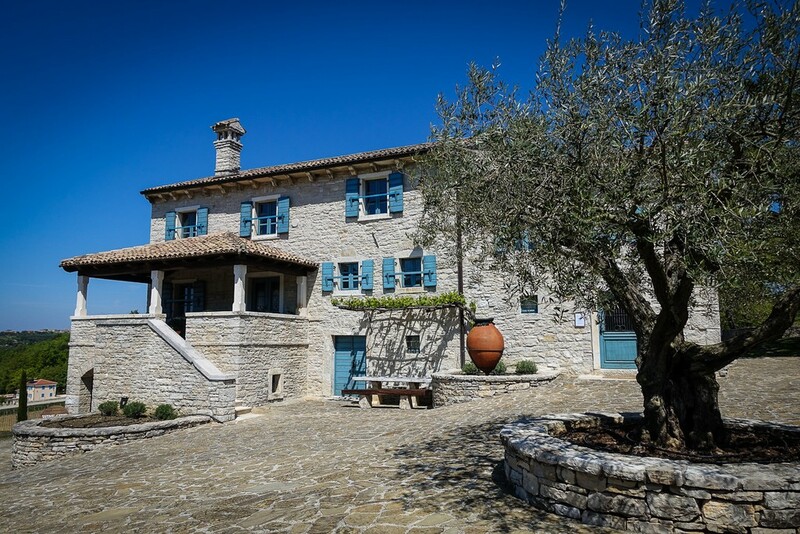 Drive to the Istrian interior, famous for its refined local food and wine scene. You'll discover hilltop towns full of artisans, paying a visit to a winemaker, olive oil producer, or cheesemaker. Then search for some delicacies of your own on a truffle hunt, step back in time at the Roman amphitheater in Pula, or kayak up the Adriatic coast. The much buzzed about Wine Vault restaurant back in Rovinj ends your evening on a haute cuisine note. Enjoy one more taste of Istria at breakfast before you drive back to Ljubljana to return your car and catch your flight home.